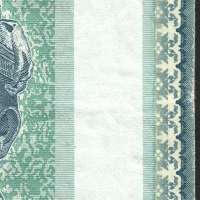 Bank Negara Malaysia’s new family of banknotes were inspired by elements which distinctively define the country's diverse culture, heritage, and nature. 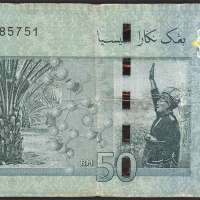 Themed “Distinctively Malaysia,” the fourth series of Malaysian banknotes features traditional expressions in the art and craft, natural wonders, flora and fauna, economy and tradition. 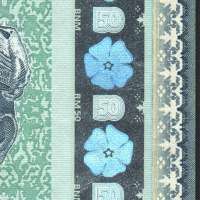 The notes also have enhanced security features. 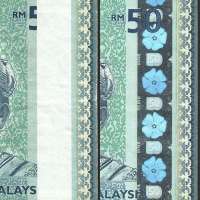 The back side of each banknote denomination features different elements of nature, tradition, culture, flora, fauna and the economy that are distinctively Malaysian. Missing holographic stripe on the right next to the King leaving the area empty.